The quartet, with eight final appearances in the competition, beat the seven achieved by Mascherano, Migueli and Segarra. FC Barcelona continue to dominate the Copa del Rey, and nobody comes close to their record. A total of 29 finals have been won by the Blaugrana, and this could rise to 30 if they are victorious against Sevilla at the Wanda Metropolitano this Saturday. It’s Barça’s fourth consecutive final and their eighth in the last 10 years. If they win, it would be a historic landmark for the Club and match the records of Real Madrid and Athletic Club who achieved it in the years 1900-1904 and 1930-1934 respectively. Piqué, Sergio, Iniesta and Messi are the four players that have the most Cup final appearances in Club history with a total of eight (2009, 2011, 2012, 2014, 2015, 2016, 2017 and 2018). Against Sevilla, they will have the chance to win their sixth Cup, and they will also exceed the seven finals played by Mascherano, Migueli and Segarra. It has become a ritual for the squad of FC Barcelona to qualify for the Cup final. 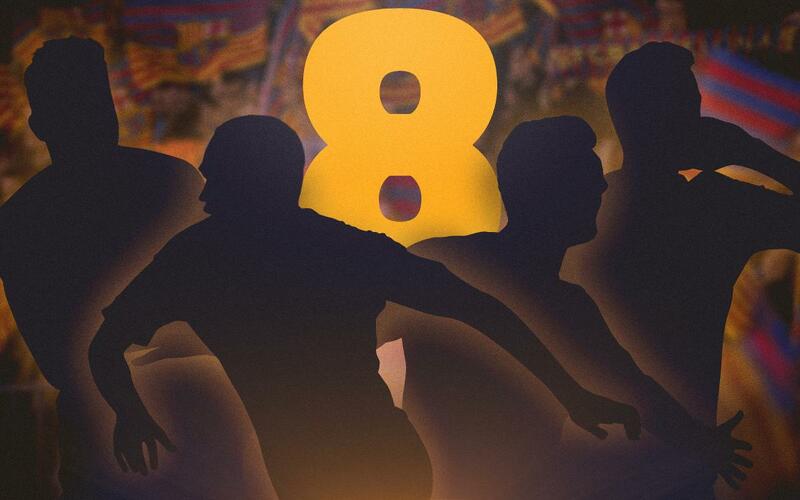 However, if we also add in all of the appearances in finals made by Barça’s players when they were at their previous clubs, it comes to an incredible 94. Luis Suárez has been in seven already, Rakitic six, while Jordi Alba and Sergi Roberto have reached five finals each.